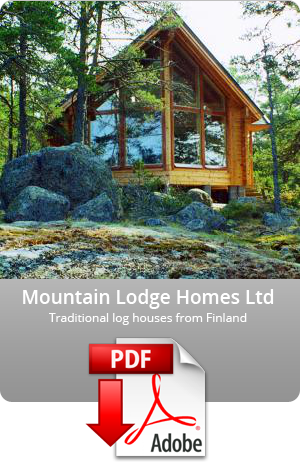 Very little maintenance will need to be done after your log cabin has been completed. As long as it received 3 coats of good quality wood stain when it was first built (we use Sadolin high performance wood stain) you should not need to repaint it for at least five years. Generally only the areas most affected by the weather will need re-touching. When it begins to look faded it’s time for another quick coat! As log homes are very different to normal timber frame houses with block work walls, the log walls behave in a different manner to traditional concrete/stone/brick walls. When trees are growing they have moisture in them. Once they have been felled, the moisture level begins to drop to equilibrium with the surrounding atmosphere; this can take a good number of years if left to happen naturally, so the logs are kiln dried to speed up the process. As they dry, they shrink slightly. Most of the shrinkage happens before the logs are manufactured but once the log home has been built, the logs will dry out a little bit more to match your local climate. As the wood shrinks, this leads to settlement. 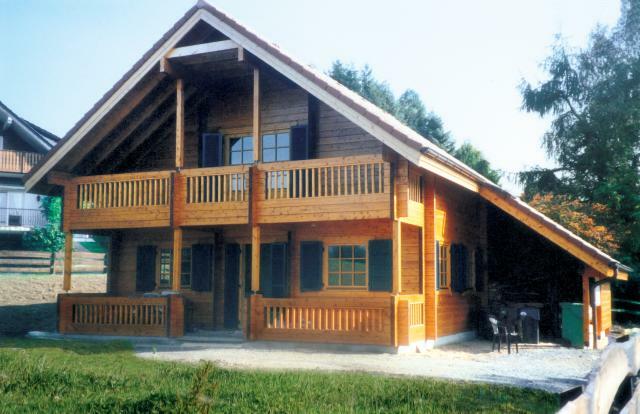 In log homes, settlement occurs when the logs shrink a little, causing the walls to lower a couple of inches. This is not a problem. Our log homes are designed with this natural occurrence in mind, allowing the logs to settle without affecting the building.